Icelandic low-cost carrier declared bankrupt. Icelandic low cost airline WOW Air announced bankruptcy and stopped performing all flights. This is stated in the press service of the Ministry of transport of Iceland. “WOW Air has stopped working. All WOW Air flights have been cancelled. Passengers are advised to check the available flights with other airlines. 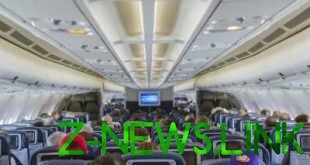 Depending on the circumstances, some airlines may offer flights at reduced rates, the so-called “rescue fares”, – stated in the message. Thus, the thousands of passengers who were going to travel by aircraft WOW, was in a quandary. One of the aircraft is now in canadian Montreal, the second in Cuba. The low-cost carrier WOW Air was founded in 2011. The company’s fleet consisted of 11 Airbus A320 aircraft and one widebody A330-300. In recent months, WOW Air experienced financial difficulties and was looking for an investor. At the end of 2018 by the purchase of the company was interested in Icelandic competitor Icelandair, but its shareholders did not approve the agreement. After that WOW Air was in talks with investment Fund Indigo Partners, which has stakes in several low-cost airlines, including Wizz Air, however, the agreement did not take place. To remedy the situation WOW Air launched a restructuring program that included a reduction of the fleet and personnel, but it was insufficient to maintain the activity of the air carrier. Financial analysts believe that the bankruptcy of WOW Air will lead to a weakening of the Icelandic Krona, and inflation will grow by 3.3%.